Looking to work up a sweat while at the same time reliving some of the best gaming of your youth? Check out Nintendo's "Punch-Out!!" for the Wii, a re-envisioning of the classic fighter sans Mike Tyson. 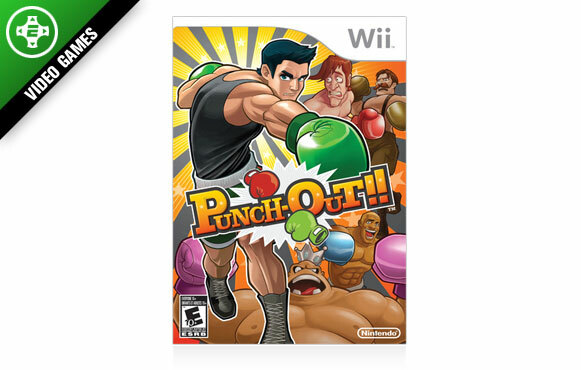 And even if you don't get to swing your Wii-Mote at Iron Mike, the fun is being able to throw every punch in real life to knock out opponents in the game, including epic battles against series favorites Bald Bull, Soda Popinski and even a championship showdown against Donkey Kong.